Continuing from Trucking Company Negligence in Truck Accidents: FAQs (Pt. 1), here, we’ll respond to some more common questions about when trucking companies can be liable following truck accidents. Q – How do you prove trucking company negligence in a case? Are you wondering about the compensation for trucking company negligence claims? If so, check out these FAQs. Or contact us today. A – This is a great question, but it’s difficult to answer without referring to a specific case or reviewing the specific facts of that case. This is because trucking company negligence can come in many forms, so establishing a specific form or instance of negligence can also require different or various types of evidence. FMCSA (Federal Motor Carrier Safety Administration) records, which could indicate that a trucking company has a history of negligence and/or noncompliance with federal trucking regulations. Q – How much will a negligent trucking company owe me? Trucking companies having a history of behaving negligently, causing accidents and hurting people on the roads. Victims’ injuries requiring long-term, intensive medical care and/or preventing people from being able to earn a living for some period of time. 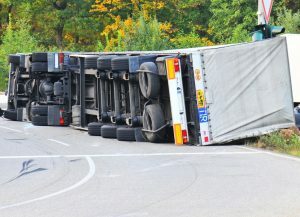 To get some additional important information about trucking company negligence and truck accident lawsuits, don’t miss the conclusion to this blog series. It will be published at the end of this month. Colorado Springs Truck Accident Lawyer at Shakeshaft and Gorman Law Firm, P.C. Have you or a loved one been hurt in a truck accident? If so, Colorado Springs Truck Accident Attorney Kenneth Shakeshaft is ready to advocate your rights, help you recover financially and ultimately help you put your life back together. Since 1982, Kenneth Shakeshaft has been providing people injured in traffic accidents with superior legal service. Let him put his experience to work helping you.